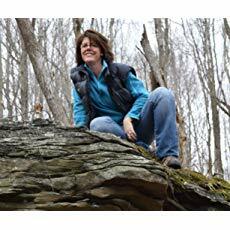 Author Lilace Mellin Guignard's newest book is "When Everything Beyond the Walls is Wild: Being a Woman Outdoors in America" and we're excited to celebrate with Lilace herself! Join us on Thursday, April 25th from 5 - 7p. Lilace will be here at Card Carrying, signing copies of her new book and giving a brief reading. Light refreshments will be available, as well as copies of the book.